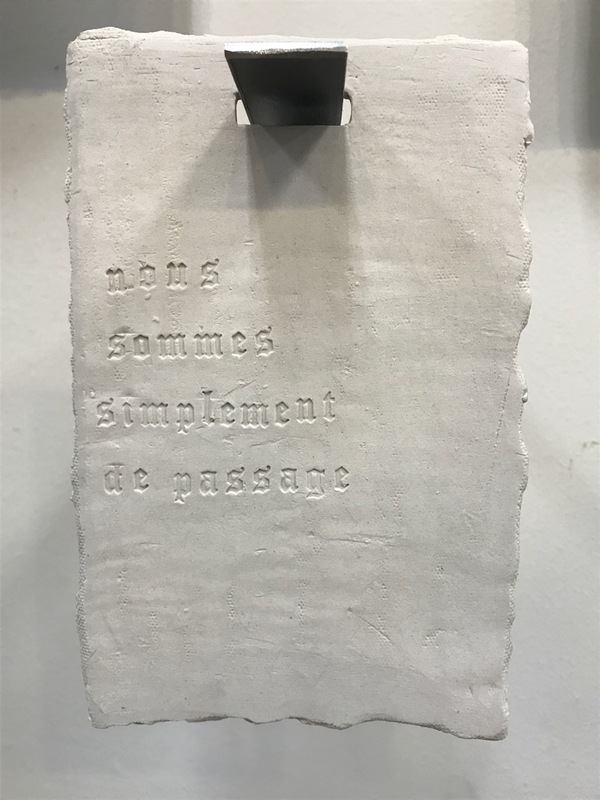 The french phrase, “nous sommes simplement de passage” translates into “we are only here for a moment’s time.” This bookwork of grief is a personal confrontation of a silent event, recognizing that the process of healing is communal. Every book is coded, a system of signs to be decoded by its reader. It is the ghost limb of an author, but more importantly, it becomes an extension of the reader’s body and experience. As a book splays open, the reader is in between a passage, a silent private voice expressed in a public space. 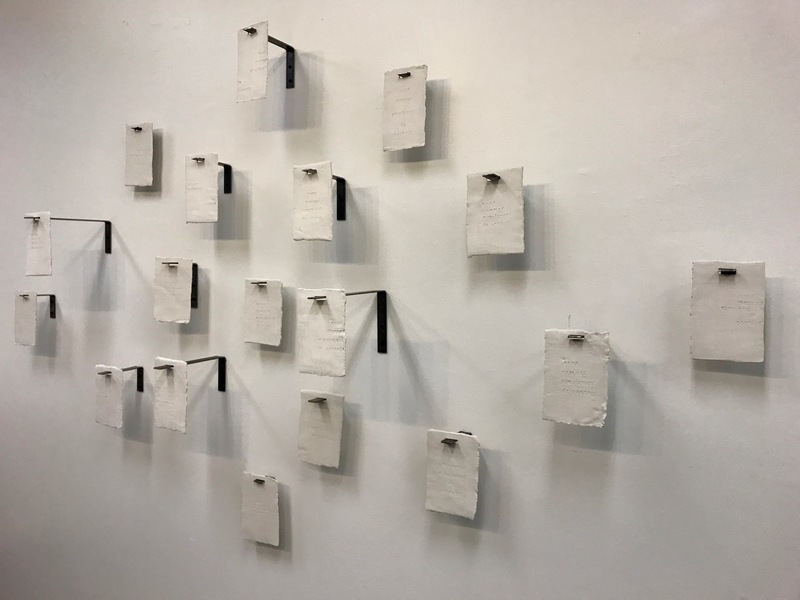 I’m exploring the idea of a book, its anatomical components, variable forms, associations, functions, and adaptable framework for visuals and language. Books live between 2-d surface and 3-d object, serving multiple purposes: utilitarian, decorative, or as psychological entities. A book experience can evoke intimacy and vastness at the same time. One page or one word even, can open up new worlds. 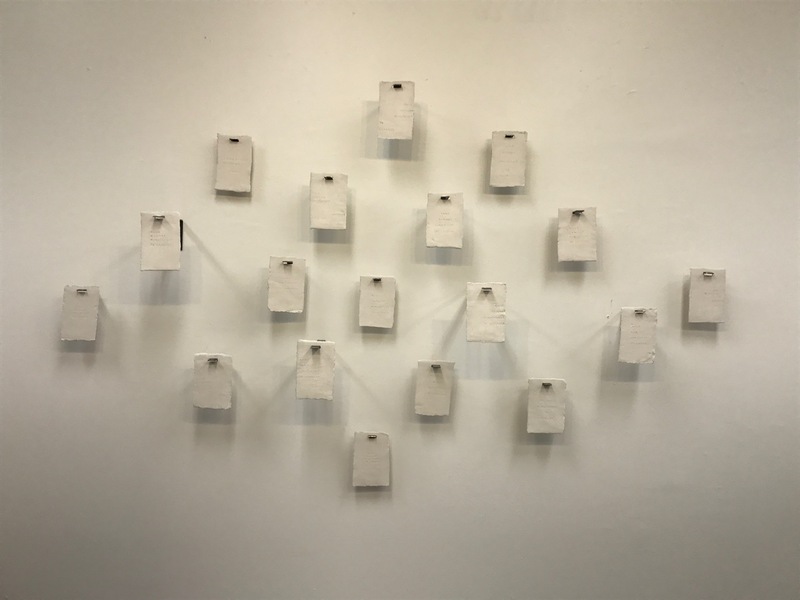 I’m interested in reimagining the bookwork to explore the temporal space of a page, and to transform the impermanent moment into enduring reverberation.